Hidden community gardens and quiet leafy streets mix with left-field boutiques and alternative art galleries. 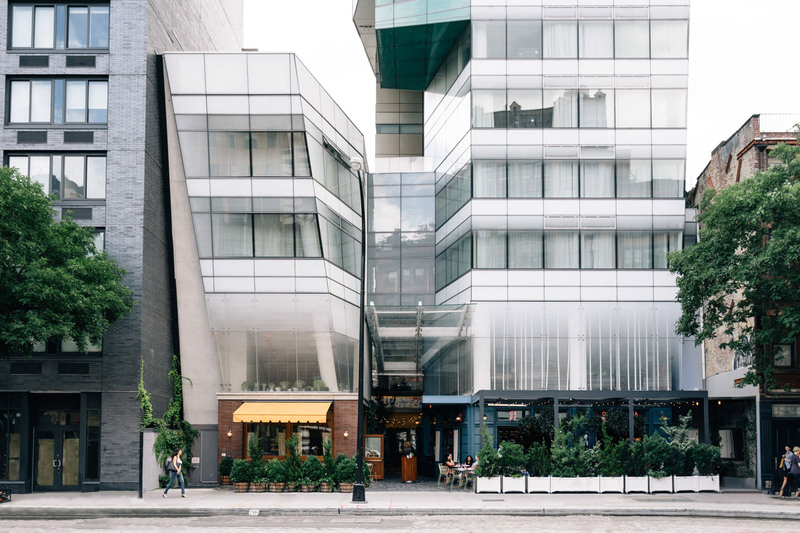 Many young urban professionals and students from NYU have been attracted to the area, which still retains a neighborhood feel with areas like Alphabet City still populated mainly by long-term residents. Prewar walk-ups predominate in this eclectic neighborhood with the high rises you see elsewhere in Manhattan, few and far between. These old war facades often hide tastefully updated modern interiors as well as lush courtyard gardens. Like other parts of downtown, the area has gone through a process of modernization, which has led to the building of more high-end condos. 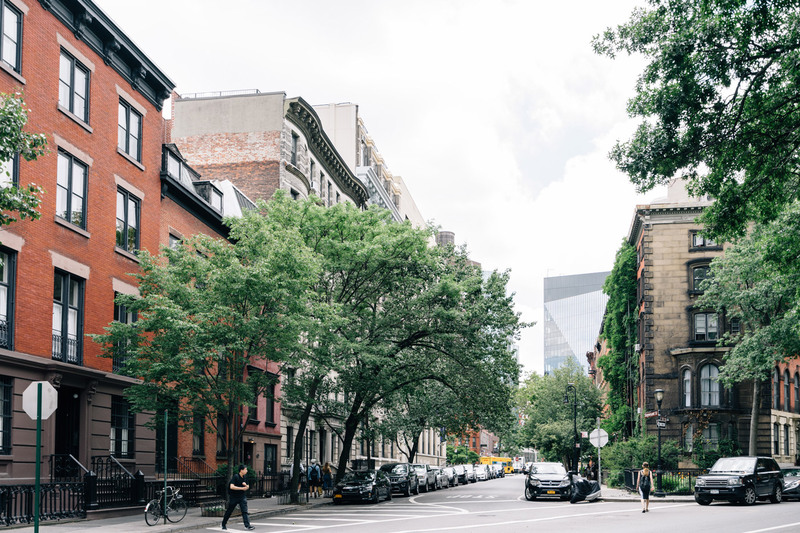 But the desire to maintain the low population density of the neighborhood means that you can still find quiet, tree lined streets to live in should you wish. What was initially a farm owned by the Dutch Governor-General Wouter Van Twiller in the 1640's, the East Village became an epicenter for immigration and the arts. In the 19th century, it had one of the largest population of Germans outside of Germany. The Poles and the Ukrainians, whose mark can still be seen in the area to this day, followed the Germans. By the fifties, the Beatniks had moved in and started the area's association with the creative arts. In the sixties, it was home to legendary music venue Fillmore East, and in the seventies, it hosted CBGB's, the home of many punk rock legends. Also notable was the art scene of the seventies and eighties, which saw exhibitions by everyone from Basquiat to Jeff Koons. 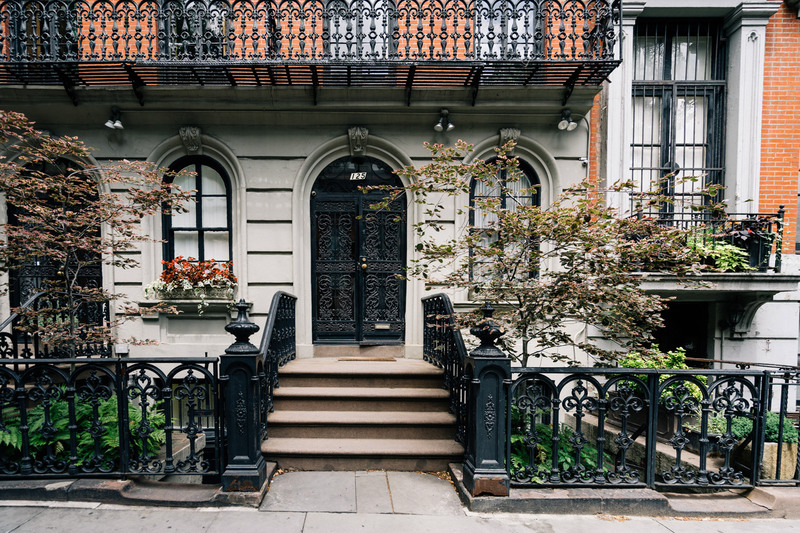 For those wanting to know more about one of the most influential immigrant populations in the East Village, The Ukrainian Museum is an informative look at the history, artifacts, and culture of the neighborhood. The Anthology Film Archives well serve the world of independent and avant-garde cinema. It has a collection of around 20,000 films and holds regular screenings. Lucky Luciano and Al Capone used to frequent the East Village, so it seems right that The Museum of the American Gangster is based here. It features bullets from the St. Valentine's Day Massacre and John Dillinger's death mask among other curios. Since its founding in 1927, Strand Bookstore has grown to become New York City's leading independent bookseller. Its slogan is '18 miles of books,' and it has 2.5 million in total over 3 and a half floors. It even has a rare books room, where it holds regular readings with some of the nation's most famous cultural icons, David Sedaris, Patti Smith, and Robert Caro among them. If you are looking for chain stores, you're definitely in the wrong neighborhood. The East Village is where you come when you're looking for something a little bit quirky. Take Obscura Antiques, a high-end antique store that is the perfect place to pick up some quality taxidermy or left field furniture. Those looking for unique interior decor will love 'John Derian Company.' It offers a wealth of individual handmade items from furniture to paperweights made by a small group of highly skilled artisans. Finally, Community 54 is a mecca for vintage and contemporary streetwear from varsity jackets to classic tees that has a regularly rotating roster. The East Village offers you a world of eating choices. The Black Ant, for example, puts a creative spin on Mexican food (side order of crickets, anyone?) paired with a range of inventive tequila-based cocktails. 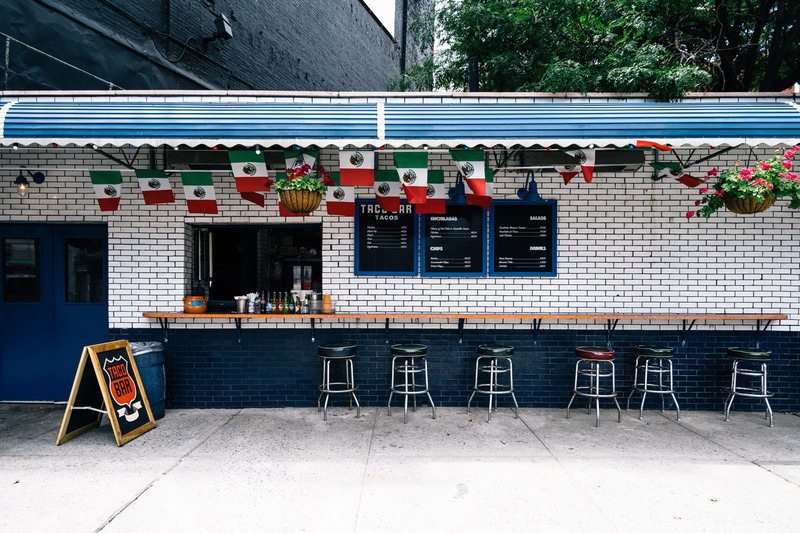 Looking out over Tompkins Square Park is Maiden Lane, which serves a selection of European tinned seafood along with craft beers and small batch liquors. Regional and righteous, Root & Bone brings the flavors of the South to your taste buds, using only the highest quality seasonal produce. While Gabrielle Hamilton's 'Prune' is something of an East Village institution and is an ever-popular brunch spot. By day the East Village can be quiet and residential, but at night it comes alive as thousands descend on the neighborhood and its range of nighttime entertainments. Among a host of small music venues are The Stone, a non-profit experimental music space that's strictly about the musicians and Nublu, a club that plays live jazz and world music. East Village bars run the gamut from legendary McSorley's Old Ale House, which has been serving distinguished guests like Abraham Lincoln for almost 150 years to popular cocktail bars like The Garret and Death & Company. Those looking for a more quiet evening might enjoy a night at the Bowery Poetry Club, one of the city's leading performance spaces. 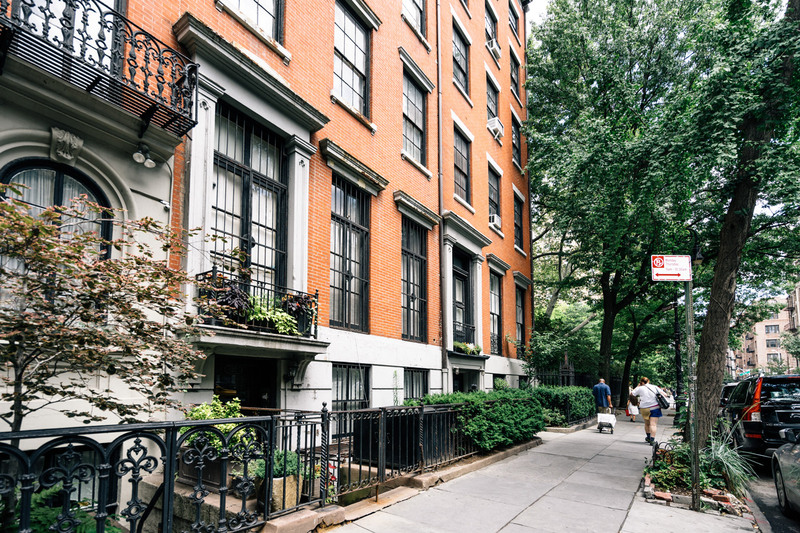 At the center of the East Village is the famed Tompkins Square Park where everyone from the surrounding community congregates to take a stroll or meet up with friends. The park boasts two playgrounds, handball and basketball courts and even chess tables. Every year The Tompkins Square Park Halloween Dog Parade is held, featuring hundreds of pooches in all styles of creative costumes. It has been called the largest event of its type in the world. Performances are also held there like the outdoor drag festival, Wigstock, and Howl Festival, which celebrates the life of Allen Ginsberg. East River Park offers 57 acres of waterside space filled with bike paths, sports fields, walking paths, and gardens. There's even an Amphitheater offering theater, dance and music events. In addition to the numerous parks, there are also 39 community gardens that are around the neighborhood, including some of the oldest in the city.